“Black Monday,” as they call it, is a sad day in the NFL. No one in the profession likes to see another coach lose his job. When an owner makes the decision to terminate a head coach, that decision has consequences far beyond the head coach. It affects a lot of families, and even the careers of many players, as those players’ styles of play may be particularly suited to that head coach. For each team hiring a new head coach, it is a good bet that nearly 60 percent of its roster will be turned over within the next two years. 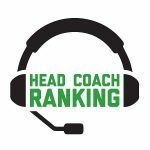 Most coaches feel that Jackson is a good, experienced coach — deposed Cincinnati Bengals head coach Marvin Lewis went out of his way to extol Jackson’s virtues during his own final press conference. Our primary criticism of Jackson would be that he seems to have a penchant for creating drama whenever he receives some measure of authority. For example, when he was head coach of the Raiders, owner Al Davis passed away during Jackson’s tenure. As soon as that happened, Jackson went full “Al Haig” (for those readers under the age of 50, here’s the reference), and it was highly unbecoming. Over the last two years as head coach of the Browns, Jackson seemed to have a new gimmick every week. On one occasion, it was something about jumping into Lake Erie. On another occasion, it was about withholding the stripe decal for the players’ helmets until they accomplished something in training camp. If Jackson gets another opportunity to be a head coach, our advice would be to keep the focus on the game, as opposed to himself. Conclusion: Turn down the drama, Hue. We believe that every head coach, with few exceptions, should be given more than one year to show progress. Wilks confronted a series of obstacles that he did not create and had no control over (e.g., rookie quarterback, a general manager who was arrested and suspended, a rash of injuries, the installation of a new system that did not fit the existing personnel, etc). We obviously don’t know how Wilks would have done in a second year, but based on what we observed this year, he did appear to have a longer learning curve than others. Conclusion: Just a few more years experience as a coordinatorbefore next head coaching job. We definitely saw progress with Vance Joseph in 2018. In his rookie season, he made far too many errors and his team seemed unprepared on too many occasions. This year, however, we saw significant progress, and that did play out on the field as the Broncos were a tough out for some of the best teams in the league. Like many defensive-minded head coaches, however, Joseph struggled with his offensive choices. While he was shortening his learning curve as a head coach, however, for whatever reason, Broncos general manager John Elway didn’t want to wait any longer. Based on the progress that we saw, however, we believe Joseph still has room to grow as a head coach in the future. Conclusion: Have better offensive coordinator choices available to you in your next head coaching opportunity. We have watched Koetter as a head coach at Boise State, Arizona State, and now Tampa Bay. Our conclusion is that he is a good offensive coordinator. Conclusion: Best of luck to you in your next offensive coordinator position. We strongly believe McCarthy will be a success wherever he goes next. Clearly, the relationship between McCarthy and quarterback Aaron Rodgers had changed somewhat, and perhaps, they simply had been together too long. That doesn’t mean anyone did anything wrong, but sometimes in the coaching profession, the dynamic can get a bit stale and, like anything else, needs some new energy and refreshment. Conclusion: Simple change of scenery is all that’s needed for McCarthy. Marvin Lewis is a terrific coach and we believe he, too, will see success if he chooses to pursue being a head coach again. Our only constructive criticism would be that his teams tended to play tight and undisciplined at the same time. Having said that, it should be emphasized that Lewis had one of the most difficult head-coaching jobs in the league working for the Brown family in Cincinnati. This is an organization that lacks resources and just does not operate like most of the other franchises (and not in a good way). We feel Lewis did an unbelievable job covering up a lot of the ills in this organization. Finally, losing Jay Gruden as an offensive coordinator was a big blow to Lewis, and Gruden’s successors simply did not measure up. Conclusion: Like McCarthy, Lewis will succeed with a change of scenery. We believe Todd Bowles has significant promise as a head coach. However, he has a couple of prominent blind spots. The first is that, like many defensive-minded head coaches, he seems to lack a direction on what he really wants out of an offense, other than to simply not screw it up. The second blind spot would be his ability to evaluate players. There was a lot of hit-and-miss during his tenure as head coach, but we are sure much of that also was the responsibility of general manager Mike Maccagnan. If Bowles were paired with a more prominent general manager than Maccagnan, we believe he has a chance to be a winning head coach. Conclusion: Get paired with a great general manager, and stay out of his way. Obviously, Adam Gase is a good coach. Peyton Manning is as good an authority as any of us will ever see, and he is convinced of Gase’s ability. And that’s good enough for us. So what is the problem here? Based on some of the reports we’ve seen, Gase may have a problem relating to players of a certain ilk. That’s obviously not good. Another problem may not have been Gase’s fault at all: Simply put, he may have not been ready to be a head coach. Still only 40 years old, Gase had never been in a position where he was the ultimate decision-maker prior to the Dolphins job. All we know is that his Dolphins teams exhibited wild inconsistency and puzzling lack of energy at times. That is a reflection on the head coach. Conclusion: With just a bit more maturity and better personal relationships, Gase will be a winning head coach. • A two-point conversion attempt from Case Keenum to wide receiver Courtland Sutton is intercepted by Chargers cornerback Casey Hayward. Not only does the conversion attempt fail, but Heyward returns the ball the other way for a two-point score for the Chargers. Rather than kick a PAT that would have it a 14-10 game, it is a seven point advantage for the Chargers (16-9). On the next possession, the Chargers score a touchdown and kick the PAT to give them an unsurmountable 23-9 lead. • We understand why the Broncos went for two, but there was plenty of time remaining in the contest where they could have kicked the PAT and stayed within four points of the Chargers. • The Broncos were without rookie running back sensation Phillip Lindsay, as he was injured in Week 16. • The win over the Broncos gave the Chargers a 7-1 road record. They have won six games in a row and face the Baltimore Ravens on the road during the upcoming Wild Card weekend. • This was Vance Joseph’s final game as head coach. He finishes his Broncos head coaching tenure with an 11-21 record. • Denver failed to get any points off two turnovers in the first quarter, both of them Philip Rivers interceptions. • Melvin Gordon seemed to have turned an ankle late in the fourth quarter of a meaningless game (Kansas City was dominating Oakland, which meant the Chargers were locked into the No. 5 seed). Gordon was hurt earlier in the season during the third quarter of a game against the Arizona Cardinals. • Denver went for it on fourth down and they handed the ball to star running back Phillip Lindsay who was stopped short off the first down and the 49ers take over on downs. • In San Francisco territory the Broncos decided to go for it on fourth down again and Case Keenum passed to Phillip Lindsay who gained one yard and was stopped short. • Nick Mullens dropped back and completed a six yard pass to WR Trent Taylor for the first down to extend the drive. San Francisco controlled the clock and then finally turned the ball over on downs in Denver territory with less then 10 seconds remaining in the game to preserve the victory. • This is a loss that will no doubt come back to haunt the Broncos as they push for a playoff spot. This was a must win against a team that they should have beaten. Denver came out flat and could never recover from a 20-point deficit. • Vance Joseph decided to go for it on fourth down seven times in the second half and was successful on five of the attempts. The two attempts that were unsuccessful hurt the most as their best offensive player Phillip Lindsay could not convert to keep the drives alive. • San Francisco tight end George Kittle had an incredible game and finished with 7 catches for 210 yards and a touchdown all in the first half. • Denver rooking running back Philip Lindsay continues to have an amazing season as he rushed for 157 yards and scored two touchdowns in the win. The undrafted back out of Colorado has over 900 yards rushing and has become the key to the Broncos offense. • The Broncos defense finished with four sacks and harassed backup quarterback Jeff Driskel throughout the game. The Bengals finished with a little over 300 yards of total offense on the day. Denver has put themselves in position to sneak into the playoffs as they have won three games in a row. Next week they head to San Francisco where they will be a heavy favorite to extend their winning streak to four games. • Cincinnati running back Joe Mixon played well and averaged over six yards per carry. He finished with over 80 yards on the ground and did all he could to provide a boost to the struggling Bengals. Cincinnati has lost quarterback Andy Dalton for the season and it looks like they may have lost wide receiver A.J. Green as he was carted off with a foot injury in the first half.